I correctly predicted 92/121 of this year's nominees (about 76%), which was good enough for a 476th place finish of 8,624 participants at GoldDerby (for perspective: my placements the last five years were 12th, 1st, 8th, 4th, and 639th). So...not my best! But not my worst! Much like the Academy’s choices - not their best, but also not their worst. My Predictions: 3/5. Incorrectly assumed the Best Picture heat for A Star is Born and Green Book would help their directors get nominated. 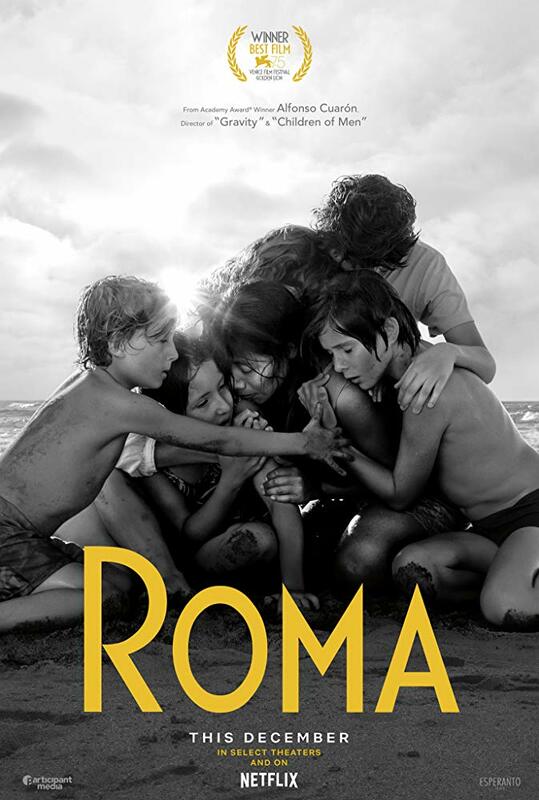 Analysis: Cuarón netted four nominations for Roma (as producer, director, writer, and cinematographer) and looks set to earn his second Best Director Oscar after he won for 2013’s Gravity. Look out for veteran Spike Lee though, who earned an overdue first nomination in this category. Analysis: Well, I guess I have to see At Eternity’s Gate now! Bale, Malek, and Cooper each have a great shot at gold, though I’m hoping voters can look past awarding biopic mimicry and give it to BCoops (who might be helped by his snub in Director, as those looking to vote for him individually can now concentrate their support of him to this field). Analysis: A fantastic lineup - though it’d be even stronger with Collette in the mix! Colman and Gaga are definite contenders, though it looks like the seventh time will finally be the charm for Glenn Close. Analysis: Driver, Elliott, and Grant are all earning much deserved first nominations, however it appears that Mahershala Ali just might be able to pull out a second victory in this category after winning for Moonlight just two years ago. Analysis: With not a one precursor notice, de Tavira, a welcome inclusion, was one of the biggest shocks of this or any Oscar nomination morning. SAG and BAFTA snubs be damned, recent awards magnet Regina King is your frontrunner here - making Amy Adams 0 for 6 in the process. Analysis: I’m bummed not to see Eighth Grade in this lineup, and I’m hoping The Favourite can sneak past Globe winner Green Book for the win. Analysis: One of the takeaways from this year’s nominations is to never underestimate the Coen brothers, as the Ballad of Buster Scruggs support, especially in this category, was quite unexpected. Spike Lee is hoping to nab his first competitive Oscar here for BlacKkKlansman, though Barry Jenkins is also in the mix two years after winning this award for Moonlight - this time for his adaptation of If Beale Street Could Talk. Analysis: Pixar (Incredibles 2) and Disney (Ralph Breaks the Internet) aren’t as dominant here as they have been in year’s past, so perhaps critical fave Spider-Man can repeat its Globe victory or voters can finally hand Wes Anderson an Oscar with Isle of Dogs. Analysis: Despite a strong and high profile lineup, Roma will take this with ease and become Mexico’s first victory in this category. Analysis: As is often the case, this branch thought for themselves and forged their own path, bypassing runaway hit and presumed winner Won’t You Be My Neighbor? for more challenging fare like Hale County or Of Fathers & Sons. I’d expect Free Solo or RBG, the most widely seen and discussed films from this batch, are in the lead here. Analysis: Foreign films make up 60% of this category - unsurprising in the case of Cold War or Roma, but downright shocking in the case of Never Look Away (a nomination I’m quite certain NO ONE saw coming). Cuarón looks locked and loaded to add another trophy to his mantle with a win for Roma here. Analysis: Unquestionably the most baffling group of nominees compiled this season. In the absence of initial leaders Roma, First Man, AND A Star is Born, I’ll throw darts and say Vice is now the frontrunner? Analysis: I’ll hesitantly predict The Favourite has the early lead in this race. Analysis: Black Panther versus The Favourite for the win. Analysis: Justin Hurwitz’s First Man score is the most painful omission of an expected nominee this year. I guess that makes Beale Street the one to beat, though Isle of Dogs or Mary Poppins Returns seem just as likely. Analysis: Though it’s looking less and less like Lady Gaga is a strong contender in Best Actress, she’s almost assured her first Oscar here with a win for “Shallow”. Analysis: Vice, especially with its Best Picture nomination, is probably this category’s frontrunner. Analysis: The strength of Black Panther across multiple fields couldn’t quite push it to a nomination here (which I think it then would have won), but perhaps Marvel still ekes out a win for their other behemoth, Avengers: Infinity War. In the short film categories: I managed a quite weak 2/5 in Documentary Short and 3/5 in both Animated and Live Action Short. Ah well - on to Phase Two! The 91st Annual Academy Awards will be broadcast live on ABC on Sunday, February 24th. We'll have lots more coverage of the season (including our official Oscar Menu, final predictions, and our own personal top ten lists for the year) over the next month. Stay tuned!